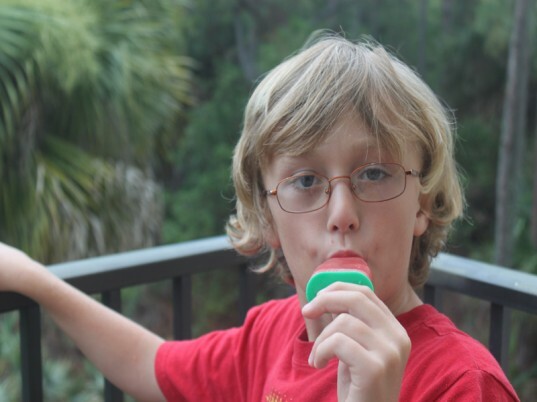 Summer is really heating up and cooling down by making homemade organic frozen watermelon pops is super fun for kids and adults alike. 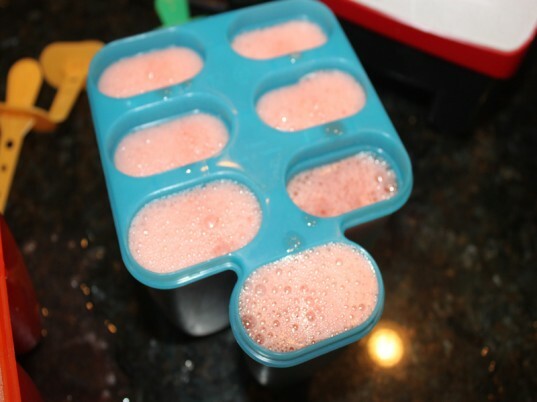 Finding frozen snacks that are great for your child and the environment can be a little tough at the grocery store, but you can concoct frozen snacks that are packed full of vitamins when you make them yourself using watermelon. 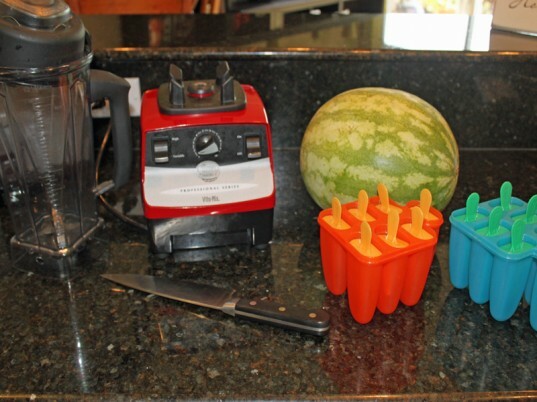 Since watermelon is packed with H20, making frozen watermelon pops is a snap. 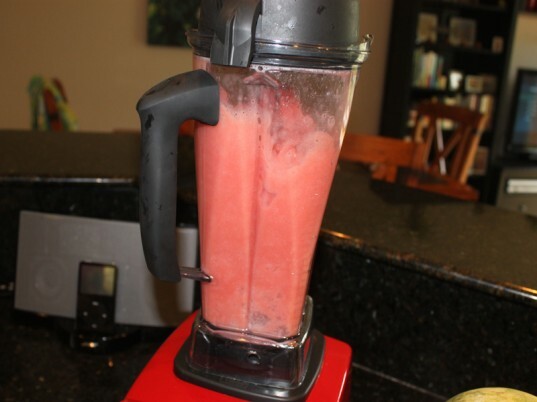 Not to mention, since the fruit is super sweet on it's own, there is no need for added sugars. These cool sweet treats have zero packaging waste and no artificial colors or flavors, but they're still a huge hit with everyone in my family. Read on to learn how to whip up a batch of organic frozen watermelon pops in a breeze. One of the best ways to start this project is by taking a trip to your local watermelon patch to pick a melon. If you don’t have a patch near your home, you can pick up an organic watermelon at your local farmer’s market, roadside stand or grocer. 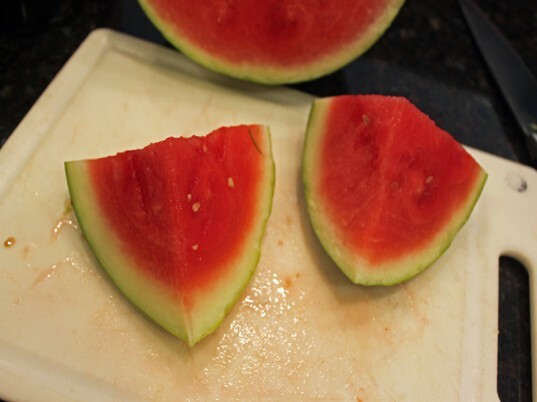 Use your knife to cut your watermelon into large chunks (adults only), saving the rinds for your composter. 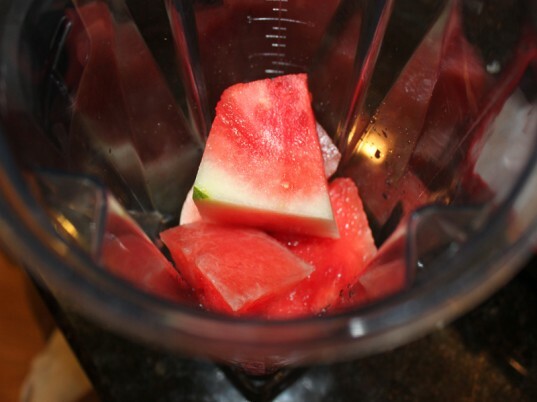 Have your child add the watermelon chunks to your blender and puree until the watermelon is a liquid consistency. 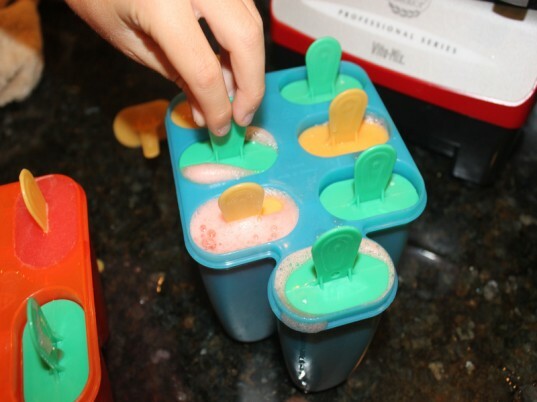 Let your children help pour the watermelon liquid in the frozen pop molds. 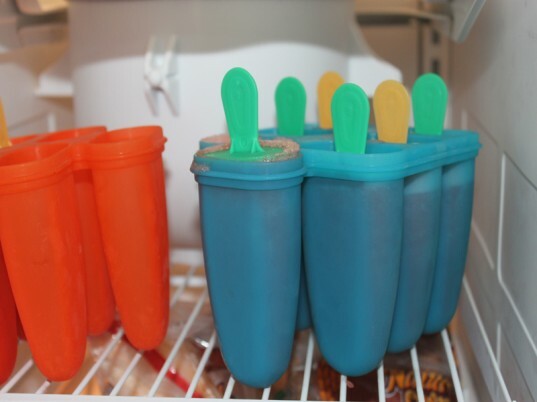 Let your children add the frozen pops sticks to each mold. Pop your watermelon pops in the freezer for a couple of hours. Then, remove them from the frozen pop molds. Enjoy these sweet treats with your little ones – preferably outside to save your living room floor from drips and sticky fingers. One of the best ways to start this project is by taking a trip to your local watermelon patch to pick a melon. If you don't have a patch near your home, you can pick up an organic watermelon at your local farmer's market, roadside stand or grocer. Enjoy these sweet treats with your little ones - preferably outside to save your living room floor from drips and sticky fingers.